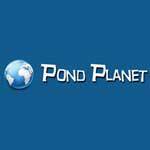 If you have an aquarium or fish pond and you need supplies, Pond Planet is the online store you need to visit. They are fast becoming one of UK's leading online retailers of supplies for your aquarium and pond. They supply a large range of pond equipment, treatments and fish food. They are well known for providing the best pond products at competitive prices. Aquarium lighting, decor fish tanks and heating and filters are also very much available. They are suppliers of brands like Oase, Pontec and Hozelock which are leading brands in the industry. With the fish food and everything available to your fish, they can be healthy. You can subscribe to their newsletter to get information about latest products available to them and useful tips on how to take care of your aquarium and pond with the sole aim of keeping the fish healthy and happy. They also stock pet products like their feeders and bowls, toys, crates and carriers. Reptiles are not left out as they have feeding equipment and everything about reptile care available. Delivery is prompt and returns are possible for products considered unsuitable.